As every driver from Wayzata to Rochester knows, Porsche produces some of the world’s most celebrated luxury performance vehicles. From legendary high-performance sports cars like the Porsche 911, to versatile and dynamic SUVs such as the Macan and Cayenne, sophisticated design, meticulous craftsmanship, and superior engineering come standard on every Porsche model. So, where are these world-class vehicles manufactured? Ever since Ferdinand Porsche founded the company in 1931, all Porsche cars have been made in Germany. Learn more about where Porsche vehicles are made. Then, when you’re ready, stop by Porsche Minneapolis to get behind the wheel of an exciting new Porsche today! Where are the Porsche Headquarters and Factories? Zuffenhausen – The Porsche headquarters and main factory are located in Zuffenhausen, a district of Stuttgart, Germany. This is where the very first Porsche production model was made. This is also where all Porsche sports cars and engines continue to be manufactured today. Both racing models and standard production models are built on the same production line. No other automaker accomplishes this feat. The management team, logistics group, and quality management division are also all located in Zuffenhausen. Leipzig – Located in the German state of Sachsen, Leipzig is home to a second Porsche factory where the Panamera and the Macan are made. Also in Leipzig is a 3.7 km, FIA-certified racetrack and off-road track, where event guests and visitors can experience the exhilaration of Porsche performance first-hand. Weissach – Since 1971, the Porsche Research and Development Center has been located in Weissach, Germany. The site is currently expanding. Soon, it will include a state-of-the-art design studio, a high-tech wind tunnel, and a cutting-edge electronics integration center. Ludwigsburg – The international After Sales department has their offices in Ludwigsburg, Germany. Sachsenheim – This is where the Porsche parts warehouse is located. There are about 85,000 different Porsche parts available at any given time. Bietigheim-Bissingen – The majority of the Porsche subsidiaries are located here, including Porsche Consulting, Porsche Financial Services, Porsche Engineering Group, Porsche Deutschland, and Porsche Lizenz- und Handelsgesellschaft. Test Drive a New Porsche Today in Minneapolis, MN! Luckily, you won’t have to travel to Germany to experience the thrill of driving a new Porsche. 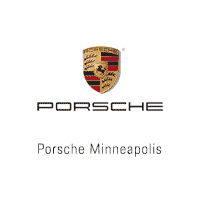 Here at Porsche Minneapolis we carry the full lineup of dynamic new Porsche models. We also offer a fine selection of high-quality used and certified pre-owned Porsche vehicles. We also offer a wide variety of new Porsche lease offers. At our dealership, we strive to provide some of the best lease deals available in the Orono and Bloomington area. Have any questions? Please complete this easy-to-use contact us form, or stop by our dealership today. 0 comment(s) so far on Where is Porsche Made?